MainEventTravel CEO Fraser MacIntyre has cashed in the largest-ever live tournament in PokerStars history. 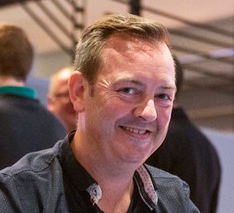 The Scottish pro made Day 3 of the €1,100 PokerStars National Championship in Barcelona, but was short-stacked and eventually bowed out in 105th place for €4,700 earlier today. The €7 million guarantee PokerStars Championship Barcelona Main Event starts tomorrow. We still have rooms available if you want to take part in this epic event: full details here. The PokerStars National Championship attracted a gigantic field of 4,557 entries and among others who ran deep today was Scotland’s Ludovic Geilich. He finished 25th for €17,510. There are currently some 23 players left including Belgian pro Bart Lybaert and LAPT champion Valdemar Kwaysser from Hungary. MacIntyre, who started running MainEventTravel three years ago, has more than $600k in live poker winnings including a tremendous runner-up finish at EPT Madrid in 2012. He’s currently ranked #4 on Scotland’s all-time money list. He made the money in three WSOP events this summer – including 237th out of a staggering 7,761 entries in the Millionaire Maker – and is planning to compete on Day 1a of the €7 million guaranteed PokerStars Championship Barcelona Main Event tomorrow. He said: "I'm happy to get another deep run in such a massive field, but obviously disappointed not to get a bit further! I'm looking forward to the main event now. Hopefully I can get another good run in that." Among those competing in Barcelona will be Daniel Negreanu, ElkY, Fatima Moreira De Melo and Felipe 'Mojave' Ramos. Last year, Sebastian Malec, a 21-year-old from Poland, won €1,122,800 after qualifying online.